Bill Eager has written 10 books. 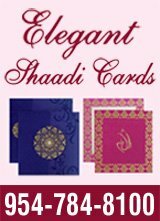 He is a certified Amrit Method yoga instructor, yoga nidra facilitator, Reiki and energy healer who teaches workshops across the country. 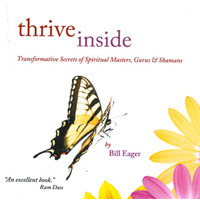 His book Thrive Inside is available at Amazon.com and www.ThriveInside.net. 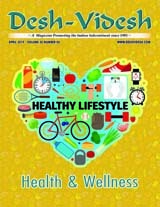 Desh-Videsh magazine and deshvidesh.com, members of Desh Videsh Media Group, cover a wide variety of news for a diverse audience in the United States. Promoting the Indian subcontinent in the US since 1993, Desh-Videsh magazine is widely circulated in the southeast US. Readers hail from Florida, Georgia, Washington, DC, Maryland, Virginia, North Carolina and South Carolina. 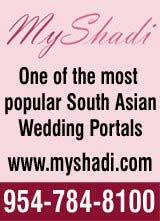 The magazine reaches a varied audience of over 75,000 Indians, Pakistanis, Bangladeshi, and Indo-Caribbeans.